After the Christmas madness a lot of people don’t think of a trip to a European city. Firstly, it is too cold and secondly, the wallet might be quite light after all the extra holiday expenses. But if you are reading this, it is probably because you have decided or are thinking of visiting Barcelona in January 2019. Well, I have good news for you. It barely rains a this time of the year, there are mostly sunny days, accommodation is cheaper and you won’t have to fight with hordes of tourists trying to see the same sites as yourself. Want to know what to expect and what to do in Barcelona in January? Let me give you some local recommendations. In Spain, we don’t have Santa bringing presents to the children but the Three Wise Men. As a kid, I remember the most exiting night of the year was January 5th, when the Three Kings arrived to my city loaded with presents. They still do it today and not quietly! A huge parade is organised around the streets of Barcelona: La Cabalgata de Reyes. Some of the floats are quite spectacular although the most important are the ones that carry the kings themselves. Don’t miss the floats carrying the presents and the one carrying coal, which is given instead of presents to the children who haven’t behave well during the year. Well, everyone gets presents, really. The following day (January 6th) is a holiday that takes place mostly at home. Think of your Christmas Day with the excitement of opening presents and people visiting each other during the day. There is always a big family lunch scheduled with a very special dessert eaten only on this day: the tortell de Reis (Kings’ Day special cake). If you get invited to one of these meals, watch out: inside the cake there is always a dry fava bean. The one who gets it must pay for the cake the following year! If you are a shopaholic visiting Barcelona in January, you are in luck. We also have January sales but here they don’t start until the 7th. Remember that people still have to buy their presents for the Three Kings the day before. You just have to look for the signs saying Rebaixas (in Catalan) or Rebajas (in Spanish). They are everywhere, from the big chain stores at Portal de l’Angel to the tiny shop in a local neighbourhood. As a small family business ourselves, we always recommend supporting the latter. 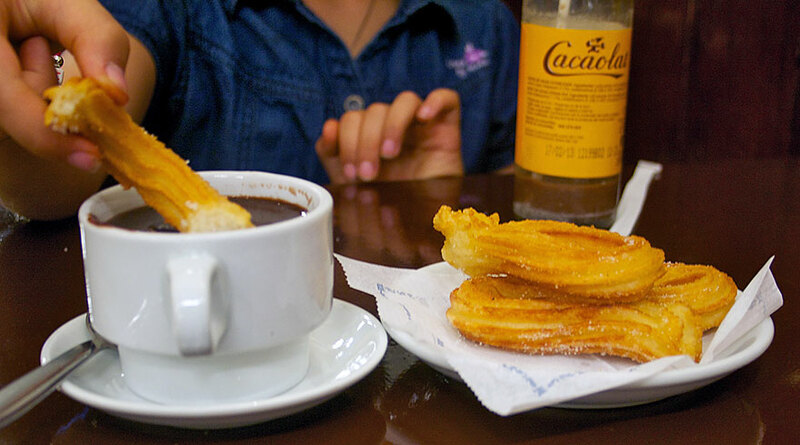 After your shopping spree the custom is to wind down in the evening eating chocolate con churros at one of the traditional cafeterias. Expect long queues but, once you sit down and warm up with the hot cup of chocolate, you won’t regret waiting. Our favourite is Granja Viader but any of the granjas in Petritxol street will do the trick. One of the more endearing things to do in Barcelona in January is to take a look at the parades of Els 3 Tombs. On the dates around January 17th, two neighbourhoods in Barcelona celebrate the festival of Saint Anthony Abad with a parade around their streets. 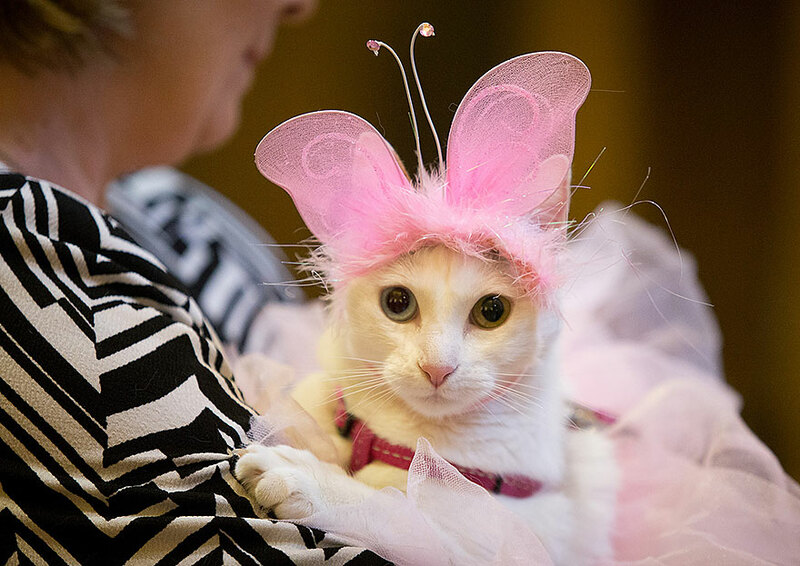 He is the patron saint and protector of animals so traditionally horses and donkeys are blessed although nowadays you can find every household pet imaginable, some of them even dress up for the special occasion. This is a nice opportunity to check out the local barrio of Sant Andreu with its old village charm. The other neighbourhood where this parade takes place (Sant Antoni), also celebrates their local festival around these dates. Head here to find all the typical Catalan traditions: castells (human towers), correfoc (firerun) gegants (giant parades)… Recently an old custom was revived which is the Rifa del porc, a lottery with a very special prize: three pigs. Well, nowadays, just nice packaged porc products. Winters in Barcelona are generally mild with temperatures ranging from 4ºC to 15ºC (40ºF to 60ºF). During the day, clear sunny skies are the norm and it starts to get cold when the sun drops. However, don’t underestimate the high humidity or the wind factor which can make it quite chilly. Snow is a rare occurrence in Barcelona although it does happen once every few years. If you are lucky enough to see it, rush to visit the landmarks with a white cover before it all melts away with the heat of the day. Seeing Sagrada Familia or Park Güell covered in snow is a once in a lifetime experience. Like everywhere else in the world, accommodation in Barcelona is cheaper during the low season. You can find fantastic deals as each hotel is trying to fill in empty rooms. Another great thing is that there are no queues at the main attractions. I do advise to pre-book your tickets for Sagrada Familia (same price) and Park Güell (€1 cheaper) to avoid last minute surprises. One warning: The Magic Fountain closes for maintenance every year from January 6th until mid-February. That is one attraction that you will have to come back to Barcelona for. However, January 1st starts with a fantastic Magic Fountain show and pyrotechnic display as part of Barcelona’s New Year celebrations. I hope you have a fantastic time visiting Barcelona in winter. If you are here for a bit longer don’t forget to check our recommendations for things to do in Barcelona in December and activities for February. Remember that our Free Walking Tours run all year around and we also offer Private Tours in low season. 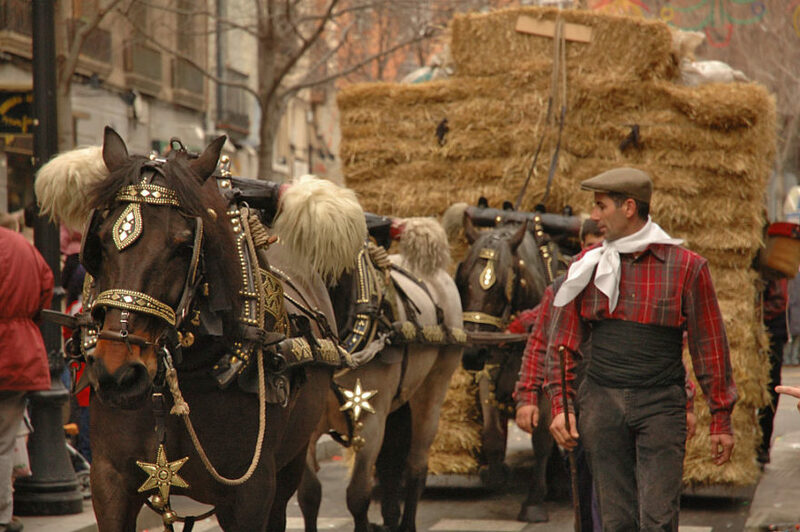 Main photograph: Els Tres Tombs by Joan ggk. Are there any running races in the Barcelona area on Sunday January 27, 2019. Hi Dennis. Not in Barcelona city but you have a half Marathon in the nearby town of Santa Coloma de Gramenet (30-40 minutes by public transport). It is called Mitja Marató Colomenca.